Last Saturday I went to brunch with Jimmy to Dottie’s True Blue Cafe. Brunch in San Francisco is a different animal than brunch most anywhere else. 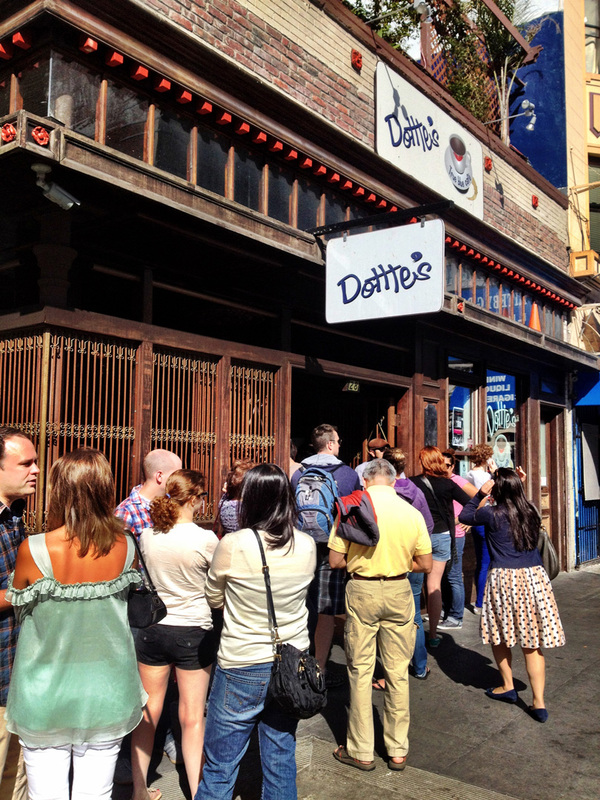 Actually, dining in San Francisco is unlike anything I’ve experienced most other places. That is to say, we are totally comfortable waiting an hour to get a table at a restaurant. Should the place have enough Yelp reviews, or bottomless mimosas, we’ll happily wait a few hours!